This single pink metal bed in the style of a brass bedstead comes with padded pink valanced mattress, white cotton quilt with pink hearts, backed in cosy pink fleece fabric with a matching pillow. It's an ideal bed for play dolls and has external measurements of 47cm x 28cm x 36cm. The bed size suits: 44 cm Paola Reina Soy Tu Dolls 44cm tall dolls (or shorter) The bed simply arrives in 3 pink metal pieces which slot together- no tools needed. Then place the mattress, pillow and cover on top of the bed, all ready for your doll to sleep in. For the taller dolls see the Love Heart Canopy Bed, or the white wooden doll bunk bed or single white wooden bed. 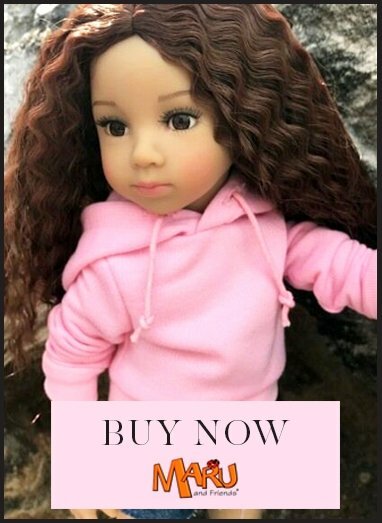 Please check the height of the doll against the length of the bed before purchasing to ensure it will fit. The bed comes in a plain white box. Please note that this bed must be assembled, dismantled or reassembled by an adult.